Google Apps for Businesses has meant that Google no longer offering free Apps for Business, only Paid edition for choose now. In an announcement on the company's Google Enterprise blog today, Google Director of Product Management for Google Apps Clay Bavor said that businesses were too quickly outgrowing the free version of Google Apps, and asking for or moving to paid premium accounts. Instead of a free, limited-user version of Google Apps and the paid premium-based version, Google will now only offer the subscription version. "Individuals wishing to use Google's web apps like Gmail and Google Drive should create a free personal Google Account, which provides a seamless experience across all of our web services on any device," Bavor wrote. Google Apps was first born when Google provided Gmail for San Jose City College in 2006, and a year after, Google launched its premier edition for all businesses. At the time, Google Apps' lead software engineer, Derek Parham, wrote that "Google Apps also won't forget its roots anytime soon. The Standard and Education Editions will continue to be offered for free, and we'll keep working on all three flavours of Google Apps with the help of feedback from all of you." While that might remain true for the Education Edition — Google is keeping Google Apps free for educational institutions — there isn't a free version for individuals any more. Tech savvy users who have their own domains have been able to point their mailbox entries to Google's services to manage their mail without the need to set up web hosting or a mail server. Since domain administration and configuration is not available with personal Gmail accounts, many took to Google Apps to solve this issue. However, with the abolishment of free accounts, new users and micro businesses will be unable to do the same. Users who have already signed up on the formerly-free version of Google Apps won't be forced to subscribe, but any new users are now unable to create a new account. Google was unable to comment further on the decision. Google's pricing for Google Apps remains unchanged at US$50 per user, per year. Google Apps was born when Google first experimented with student e-mail accounts for San Jose State University in 2006. Since then, the service has grown into a full-fledged business suite of e-mail, calendar, word processing and spreadsheet apps, along with backups of e-mail and control over multiple accounts. 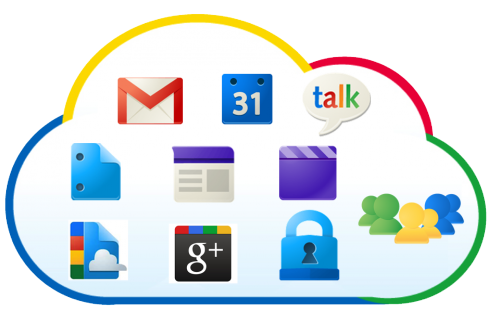 Businesses often use Google Apps to set up corporate e-mail and collaborate on private documents. The search engine giant cites demand for more features from its business customers as the main reason to dump the free version, which is used by individuals and small businesses with 10 or fewer users. “Businesses quickly outgrow the basic version and want things like 24/7 customer support and larger inboxes,” writes Clay Bavor, Director of Product Management, Google Apps on the company’s blog. Google says that “millions of businesses” are using the service, which has prompted it to cash in on all those users. Getting rid of free accounts could also mean that Google is working on more services and functionality for its cloud-based office suite, which competes with Microsoft’s desktop-based software Office. If you signed up for a free account before December 6, 2012, your account will stay free. There are now two options for Google Apps: Apps for Business with or without Vault. Without Vault, a service that gives you e-mail archiving and control over multiple e-mail accounts, you’ll pay $5 per user per month, up to $50 per user per year. If you want Vault, it costs $10 per user per month. Schools can still sign up for a free Google Apps for Education account. Businesses with 10 or fewer employees can either pay up for Google Apps, or individually sign up for a regular Google account (which is what you get with a Gmail account). That could be a boon for Google+, since you automatically get an account for the still-growing social network when you create a new Google account. Sadly, that Google+ account doesn’t come with a custom e-mail address.